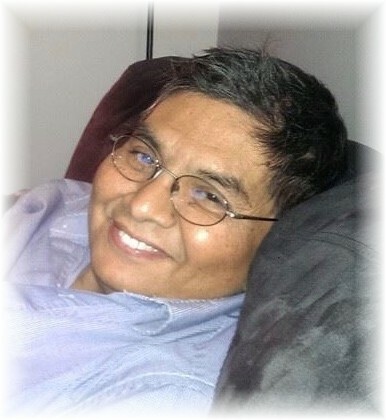 Joseph Garry Littlewolfe passed away at the age of 59 years on February 7, 2019 in Canora, SK. A traditional wake was held on Sunday, February 10, 2019 from the Keeseekoose Chiefs Educational Complex. A funeral service was held on Monday, February 11, 2019 also from the Keeseekoose Chiefs Educational Complex. Interment followed at the Keeseekoose Traditional Cemetery. Teaching was his passion! He wanted to give back to his community by mentoring and educating youth for a stronger future. Joe loved playing many sports. He was an avid Boston Bruins and Blue Jays fan. This love of sports led to coaching his students in cross country, track and field, soccer and volleyball. He played hockey, ball and was a cross country athlete himself. Joe Littlewolfe was predeceased by his father Alex Quewezance; mother Margaret Littlewolfe; brother Garry (Tonto) Littlewolfe; sisters Edith Quewezance; Mabel Quewezance and niece Shauna Quewezance. Joe Littlewolfe is survived by his partner Rhonda Tide; daughter Joletta Littlewolfe (Danny);granddaughter Talia Littlewolfe; son Garic Littlewolfe (Diana); step-son Devin Tide (Janice); sisters Carol Littlewolfe; Mary Hoffman; Margret Ann Veilleux (Delphis); Marion Littlewolfe; Lillian Quewezance, Florence Quewezance and Martha Quewezance; brothers Wallace (Nate) Littlewolfe and James Osborne (Val); mother-in-law; Lorraine Shewchuk, and numerous nieces and nephews.